Last night, I was organizing my polishes when I came across my only Barielle polish- Elle's Spell. I haven't used it in so long, I decided to give it a go. The last time I used it was... oh gosh, well over a year ago. Probably when it came out, actually. 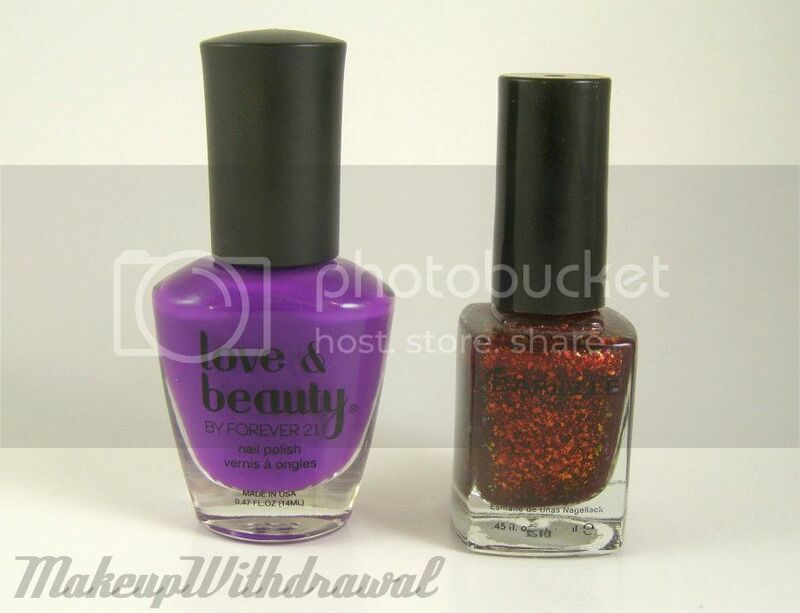 I used Love & Beauty Purple (oh gee, what a creative name) as a base which is a bright purple with some neon pigment in it, as it dries rather matte. Topped off with Elle's Spell, the total effect was stunning. The red violet really plays up the rainbow range of flakies. I think this rekindled my love for flaked polishes- something that was killed earlier this year due to so many of them becoming available. 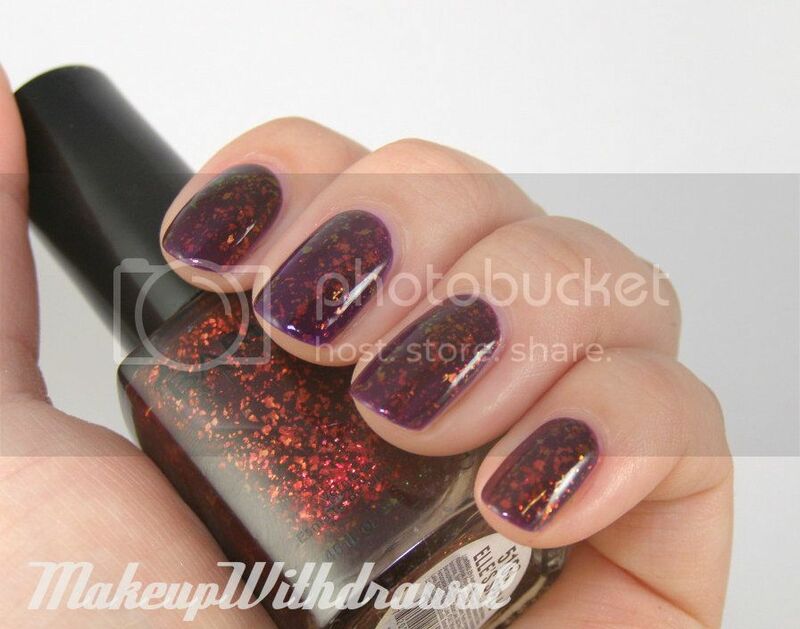 Now that I noticed that I only have one Barielle polish, I feel like this needs to be remedied! 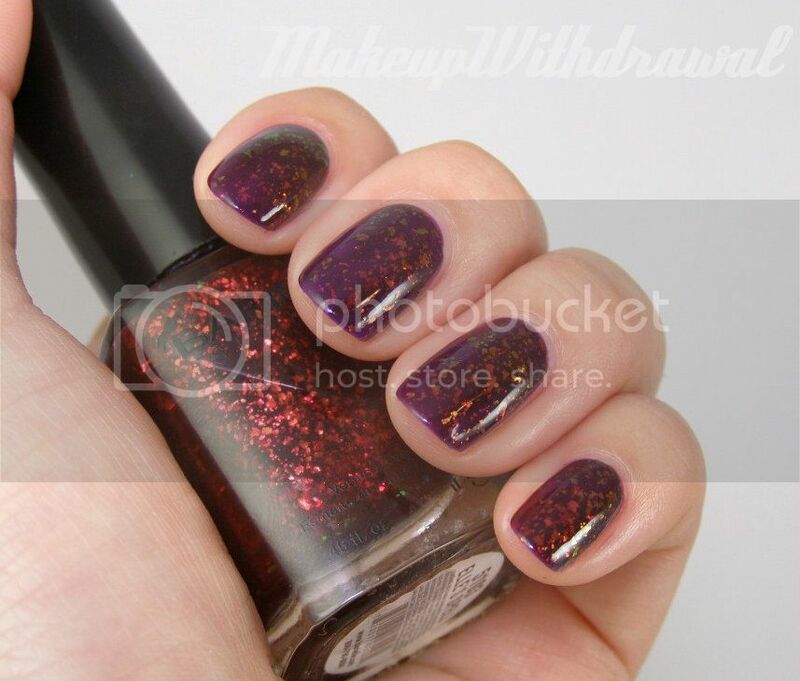 I'm thinking of ordering a few- Falling Star and Buddha-ful look gorgeous. Lovely combination. The purple's almost unnoticeable. It looks kind of similar to Nfu Oh #59.